For Christmas one year, I got more than I’d bargained for. I was unceremoniously dumped by my fiancé. We’d been together for some years, so it came as a tremendous shock when, just as we were finally planning the whole wedding-and-babies thing, he announced out of the blue that it was all off. It turned out my replacement was already waiting in the wings, although he was too cowardly to tell me himself. During my year of recovery, I worked my way through a stack of weird and wonderful self-help books. Despite the embarrassment of being caught reading Why Men Marry Some Women And Not Others on the train (why didn’t I just hide it inside a copy of The Shack? ), these books taught me a thing or two. Mainly that if we’re serious about meeting Mr (or Ms) Right, we must be pro-active about it. Instead of waiting for God to drop a partner into our laps, we should put ourselves in situations where we meet lots of suitable people, and not linger in relationships that aren’t heading towards marriage (I learned that lesson the hard way). By the time the following Christmas rolled around, I felt ready for romance again. At 36 and still hoping to have a family, there was no time to waste if I was to meet Mr Right while there were still a few eggs left in the basket. So my new year’s resolution was to find the love of my life. I launched my ‘new year, new love’ campaign by throwing myself enthusiastically into the world of Christian dating. It turned out my timing couldn’t have been better. Dating websites get their biggest number of new subscribers at the start of the year, so there were plenty of eager cyberdaters to meet and chat to. In fact, last year on Christian Connection, the number of new members doubled between December and January! There were 60% more log-ins, twice as many photos uploaded, and more than double the number of messages sent. So if you’re looking for love and are considering joining – or rejoining – the Christian dating scene, now is the ideal time to do it. Who knows, your perfect partner may be sitting behind a computer screen right now, hoping their future beloved is about to pop up on a Christian dating website. However, it’s not enough to upload your profile, sit back and wait for the offers to drop into your inbox. As with most things in life, you get out what you put in, and being pro-active is the name of the game. What if you’re already on the Christian singles scene, but things aren’t happening for you, or you’re becoming demoralised? (Yes, I’ve been there too.) Now is the time to change it up, or step it up – or both. First, refresh your approach. 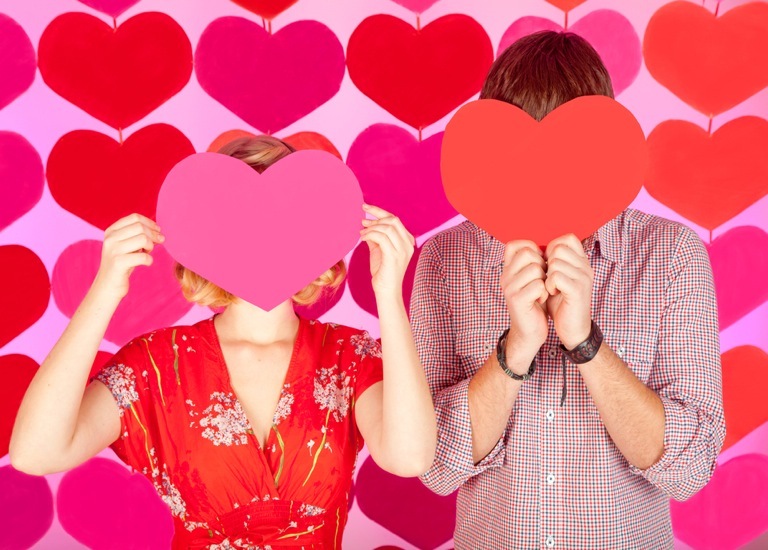 If you’re losing enthusiasm for online dating, why not try speed dating? If you’re seeing the same old faces at singles parties, consider organising a group meet-up in your area. You can find or arrange all these on Christian Connection and its sister site www.eventsforchristians.co.uk, and it’s a great way to encounter new people and gain a fresh wave of enthusiasm. Second, step it up a gear. Set yourself targets to contact at least one new person a week, and arrange one date a month (more would be better). Does that sound rather business-like and unromantic? Maybe so, but the truth is you’re unlikely to hit the jackpot on your first, or even tenth, date. Occasional miraculous encounters aside, for most of us, finding love is a numbers game – or as my brother TopBro told me: ‘HopefulGirl, you might have to kiss a lot of frogs to find your prince.’ Well, I didn’t plan on kissing too many, but I was willing to meet lots of men and go on plenty of dates, if that’s what it took to find my Prince Charming. So did my ‘new year, new love’ campaign work for me? Well, that would rather give away the ending of my book… let’s just say the mistletoe wasn’t wasted this Christmas! It’s a new year, friends. Time for a fresh start. Your perfect partner is out there somewhere – your mission for 2014 is to find them. When looking for love, do you have a strategy, or do you just wing it and see what happens? Are you considering a different approach in 2014?